Doc- Doc McStuffins Cardboard Cutout Standup Prop - Dino Rentos Studios, INC. This is a really fun life-size stand-up of Disney Junior's Doc McStuffins. 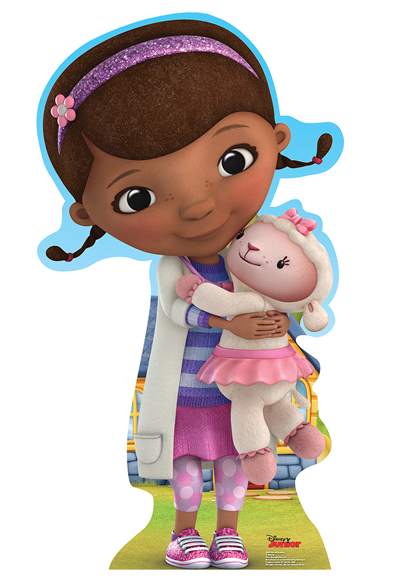 Doc McStuffins is a pre-school children's television series. Kids love this TV show because it's so entertaining and fun!